I have been working on some new workshop projects, and since I have a workshop deal for new stampers, to get what they need to actually start stamping, I used a set called Kindness Matters, which is one of the stamp sets that is part of the deal. 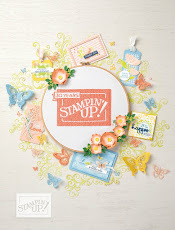 I chose it because of the lovely images, but also because it includes some sentiments and it is one of the more affordable sets that Stampin' Up offers. I've been dying to use more Calypso Coral, because coral is one of my all time favourite colours, but I have been searching for some other colours to coordinate with it in a combination that I like....and it came down to Basic Gray again. 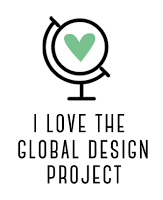 But I do like this palette, so take a look at the project and see what you think. 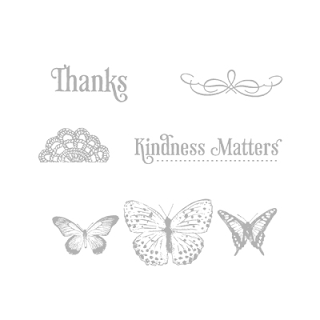 Those little butterflies are so lovely and this set has such nice flourishes. 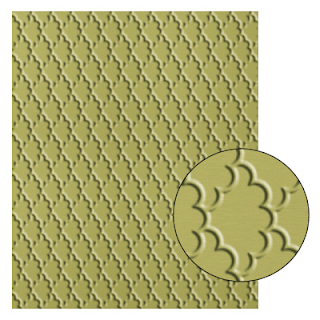 I used the new Fancy Fan embossing folder with the Big Shot to give the Calypso Coral some appealing texture. 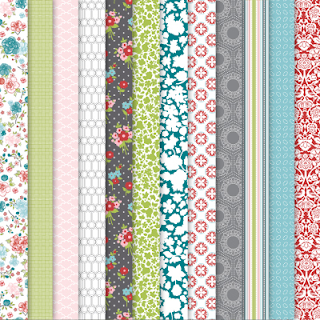 I used the Framelits Labels Collection for the main image and the Basic Gray matte. 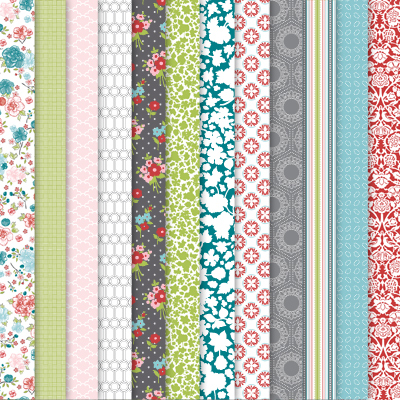 The designer series paper in Basic Gray is from the Twitterpated collection. I love how the Calypso Coral ruffled ribbon adds more texture. The main image is popped up on dimensionals, and a few Basic Rhinestones add some bling! 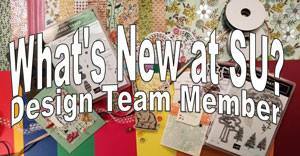 Don't forget the great deal that Stampin' Up is offering Hostesses of Workshops held in June and July. 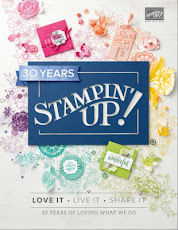 For a qualifying workshop (total orders before shipping and taxes of $525 or more, the Hostess earns $150 in free Stampin' Up products plus one item at 50% off. (That's an extra $60 over the usual rewards!) You could earn a BIG SHOT! How awesome is that! Call me right away to book a workshop. 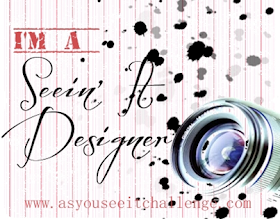 My slots are filled in June, but I still have some available in July!